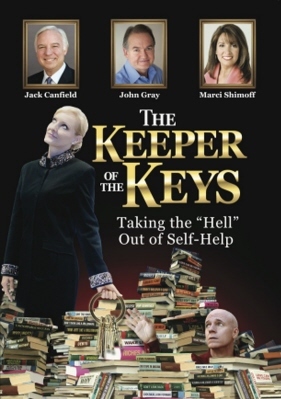 The Keeper of the Keys, the first funny self-help film, now has group screening packages available. "Screening this award-winning film is a great way to raise money for your organization while empowering your members," said Robin Jay, the film's writer, producer, and costar. "People watch this movie and become inspired by the deeply personal messages of transformation that are shared by the experts in the film." The movie stars Jack Canfield, John Gray, Marci Shimoff and a cast of other outstanding experts. Jay shares, "We've made it incredibly easy for anyone with a group of 10 or more to be able to host a screening as a way of raising money for their organization. It's incredibly affordable, too. Hosts will save between 20% – 30%, depending upon the size of their group." All it takes to host a screening is a minimum purchase of 10 DVDs. There are no additional licensing fees. Everyone who attends a screening will receive a copy of the film that has critics and viewers raving. The film recently won the Las Vegas International Film Festival's award for Best Independent Film and also earned The Indie Fest award for Best Documentary. Screening packages are available for both U.S. and International groups. Showing The Keeper of the Keys will draw people together for an afternoon or evening of entertainment, discussion, or networking. Writer/producer Jay said, "This is the best, most positive and inspirational way for any organization to raise money ... or just to have a lively gathering with friends. And, it could not be easier or more affordable." •	Permission to host a single screening, 10-guest minimum. •	Hosts may charge admission to this event; $25 per person is the recommended admission fee, which includes a DVD for each attendee. •	PLUS, hosts will receive an mp4 audio download of the "Key Phrases" from The Keeper of the Keys – these are the rich content that is shared in the film. The phrases are presented on a soothing music track that can be listened to anywhere, anytime. This program was produced by Key movie expert Regina Murphy. You can offer this very special audio to everyone who attends. Added value: $15.00 per person. •	Templates for post cards and flyers to promote your event. Jay adds, "We appreciate that it may not be possible to gauge an exact head count prior to any event, so hosts or guests may order additional DVDs at the special screening price for up to two weeks after an event. Plus, screening hosts may also offer any other products that complement the material and messages in the film, so the income potential for a screening event is unlimited!" For more information and to see the discount pricing, just click here For questions, please email Sales@TwoBirdsInc.com, or call Robin Jay at 702-460-1420. 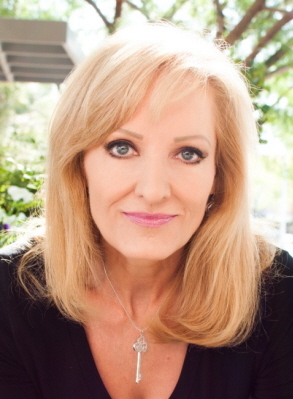 Get E-mail Alerts When Robin Jay -- Las Vegas Keynote Speaker Sends news releases.